*NOW WITH WIRELESS INTERNET* BEARS ARE EVERYWHERE! 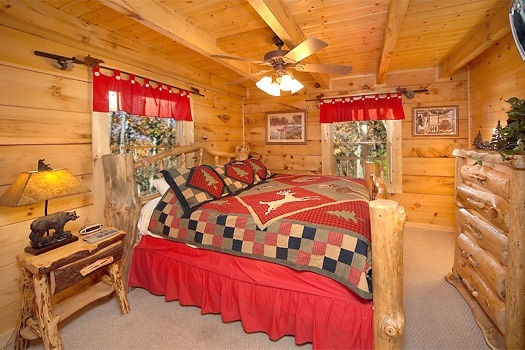 Follow their tracks and come enjoy this CUSTOM Built wonderfully decorated log cabin with Bears Galore, on the walls, on the beds, everywhere. 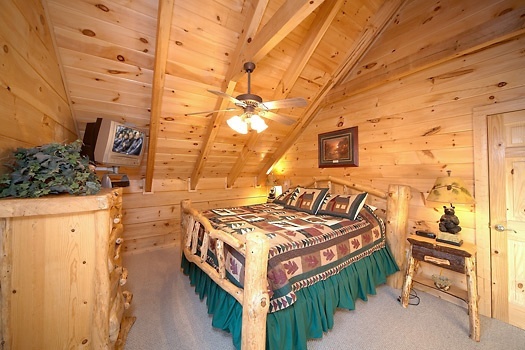 The bears feel at home here and you will too with the TWO KING SIZE CUSTOM BUILT LOG BEDS and the Log furnishings to match. 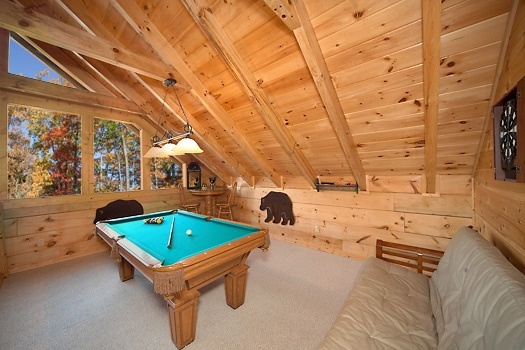 The Game Room has a very nice POOL TABLE and LOTS OF GLASS to enjoy the Great Outdoors. 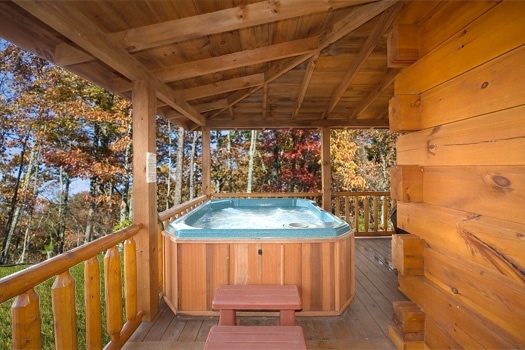 But, if its outside you want then you will enjoy the BIG WRAP AROUND PORCH with many ROCKERS, A SWING & LARGE HOT TUB. 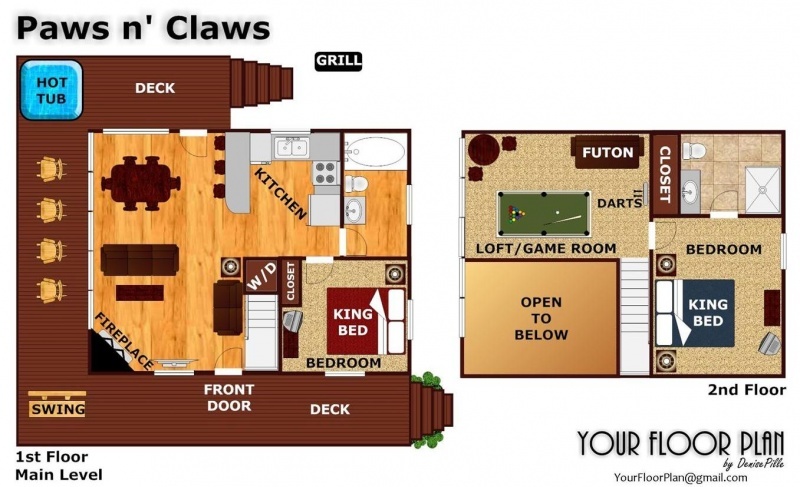 There is plenty of space for a couple, two couples or the whole family. Paws n' Claws will make you feel like a bug in a bear rug. 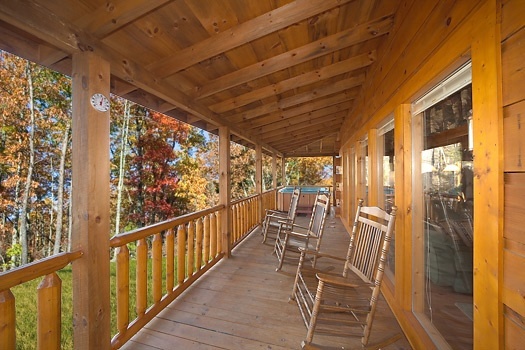 Book this log cabin today and enjoy your next visit to the Great Smoky Mountains living with the bears. Now with a 47" LCD TV in the living area for your enjoyment. Great place! Awesome set up! We loved it there ! We are going to make it a yearly vacation !!! Thank you !!!! Great job again! This most likely was my family's last vacation for the next couple years due to military deployments, and the relaxation and family time spent at the cabin was second to none. 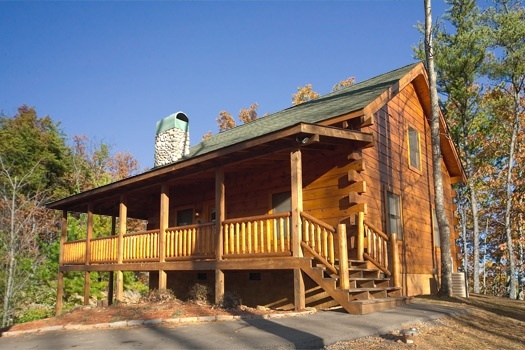 We greatly enjoyed every time we rented a cabin through yourcompany and look forward to future cabin rentals upon return from my tour. Thanks American Patriot Getaways!!! Loved Paws & Claws will reserve again next year!!!! 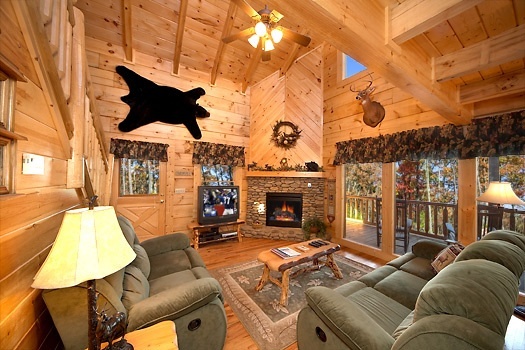 Beautiful cabin. 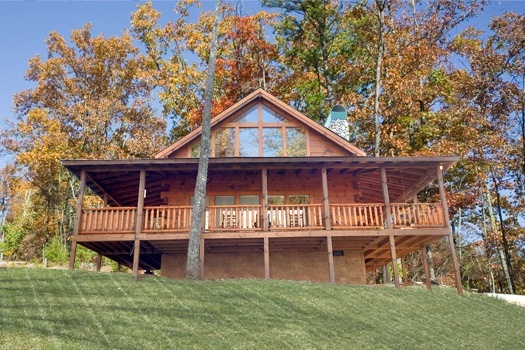 Would highly recommend this cabin to anyone looking to enjoy the outdoors. We had a great time!! Paws N Claws was a great stay and in a great location! Everything about the stay was excellent. 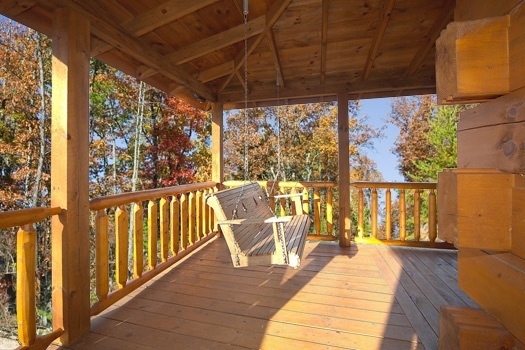 The cabin, the location, and the view! Awesome long weekend!! We recommend American Patriot Getaways to everyone. We have never had a bad experience. We have had maintenance issues in the past but were always handled immediately. Great company! The cabin was beautiful, roomy and very clean.I was so surprised how comfortable the beds were.We will definitely stay again next year!! Great cabin definitely will be staying there again. we had a great time. 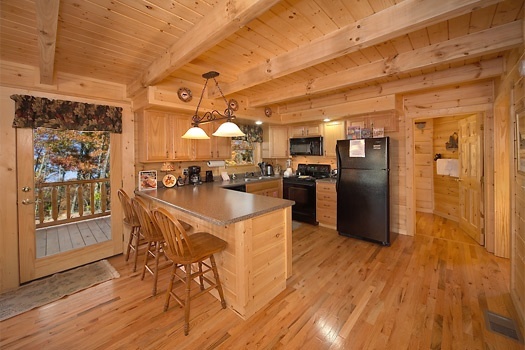 The cabin was wonderful. 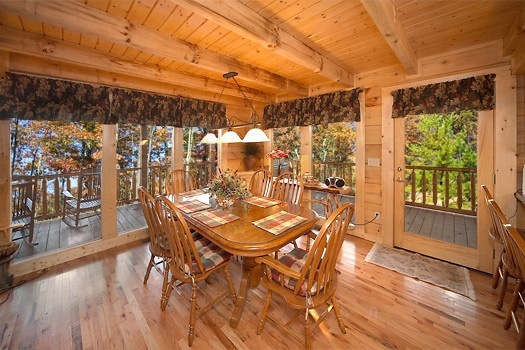 Beautiful cabin. Loved everything...would definitely stay again.